On July 12, Senators Maria Cantwell and Patty Murray announced that they received confirmation that the Department of the Interior will not pursue changes to Hanford Reach National Monument due to overwhelming public and local support for this important area. 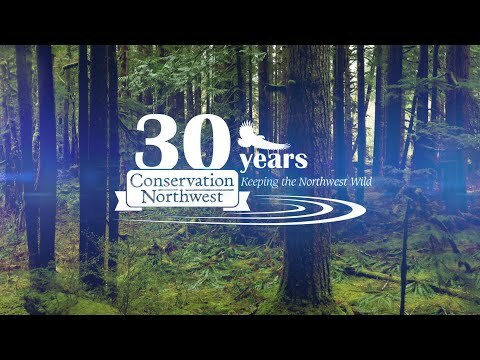 In response to this welcome news, Conservation Northwest issued a statement available here. Below is the organizational comment letter we submitted on behalf of our more than 4,000 members in support of preserving and protecting Washington’s Hanford Reach and other national monuments. I’m writing on behalf of Conservation Northwest, a non-profit conservation organization located in Seattle, Washington, and thousands of our members and supporters through the Pacific Northwest region to comment on the U.S. Department of the Interior’s review of certain National Monuments established since 1996, dated May 11, 2017. Conservation Northwest is opposed to any boundary adjustments or rescindment of the 27 reviewed national monuments. We disagree with assertions in both Executive Order 13792 and Secretary Zinke’s interim review report that 1) The Antiquities Act has been used to designate “landscape monuments” that restrict public access and cultural uses; 2) “prevent or restrict land use” rather than protecting and preserving objects of significance; and 3) that former presidents have gone beyond their authority granted under the Antiquities Act. If any of the 27 reviewed monuments are rescinded or shrunk, the monument lands will go back under multiple-use management, putting these incredible landscapes and cultural artifacts at risk to energy development and resource extraction. We support the president’s authority under the Antiquities Act to designate new monuments, but strongly oppose the monument review directed on April 26th, 2017, under Executive Order 13792. The U.S. Supreme Court has on numerous occasions reviewed this power in the context of public lands management, and found it to be “without limitations.” The power to designate national monuments was delegated to the president through the Antiquities Act, but solely Congress retains the power to modify or eliminate national monuments. Legal experts support this opinion, and have stated that the Federal Land Policy Management Act of 1976 clarifies that Congress only has this power and jurisdiction. Therefore, the issue of adjusting monument boundaries or rescinding designations should only be approached through legislation, not the executive branch. Further, we believe Secretary Zinke’s interim recommendation to shrink Bears Ears National Monument is contradictory to tribal sovereignty and the historic, cultural and ecological ties of tribal nations to the monument, as well as a rejection of the years of hard work and collaboration that went into the monument designation. We strongly encourage Secretary Zinke to use this extended review period to reconsider his initial recommendation on Bears Ears, and thereby prioritize cooperation with and the federal government’s trust obligations to tribes and the Bears Ears InterTribal Coalition. In fact, doing so would be in accordance with the overwhelming majority of the more than 1 million public comments that were submitted to the Department thus far during the review comment period. It is vital that this review process be open, transparent, and based upon public opinion. We also wish to dispel a misconception being elevated about the intent behind the Antiquities Act: that national monuments are only intended to protect discrete areas and objects. This is simply not true. There has long been precedence for creating national monuments to protect unique landscapes and wildlife species. In 1908, President Theodore Roosevelt had the foresight to designate the Grand Canyon as a national monument specifically to protect the canyon and the surrounding land. In 1909, Roosevelt also designated Mount Olympus National Monument (a precursor to Olympic National Park) for the sole purpose of protecting the Mount Olympus elk herds and calving grounds. Roosevelt highlighted this rationale in his proclamation, referring to the monument area as “[embracing] certain objects of unusual scientific interest, including numerous glaciers, and the region which from time immemorial has formed the summer range and breeding grounds of the Olympic Elk, a species peculiar to these mountains and rapidly decreasing in numbers.” Out of the reviewed monuments, Cascade-Siskiyou in southwestern Oregon was the first national monument specially created to protect biodiversity; its roughly 87,000 acres contain natural communities found nowhere else in the world, providing habitat connectivity between the Pacific coastal and inland mountain systems. These examples aside, it should be noted that many national monuments encompass important fish and wildlife habitat that helps to sustain healthy wildlife populations across the country, whether or not they were specifically created for that purpose. In Washington State, the Hanford Reach National Monument is a conservation site of national and regional importance. It contains a high diversity of habitats in relatively pristine condition, including rare, large tracts of pristine native shrub-steppe vegetation, dunes, white bluffs, and the 51 mile Hanford Reach, the last free flowing non-tidal section of the Columbia River and spawning grounds for the largest run of wild Chinook salmon in the lower 48 states. National monuments not only protect our wildlife and ecological treasures for the future, they also benefit local economies today. Visitation to Hanford Reach has jumped from 20,000 visitors at time of designation to more than 43,000 visitors today. Following the 2013 designation of Rio Grande del Norte National Monument in New Mexico, tourist visitation to the area increased by 40 percent. Outside the new Katahdin Woods and Waters National Monument in north-central Maine, a more consistent stream of visitors has already prompted some local recreation outfitters to expand their sport offerings to four-seasons. Grocery store owners, and snowmobile rental and lodge owners, all support the boost in business that monument visitors will bring to the area. They are joined by the Katahdin Area Chamber of Commerce, the Bangor Region Chamber of Commerce, the Houlton Chamber of Commerce, the Maine Innkeepers Association, and hundreds of businesses statewide. A 2014 study by Headwaters Economics, updated in 2017, found that all of the local economies adjacent to the studied national monuments experienced growth following a designation. National monuments highlight a region, and help nearby communities to diversify economically, while increasing quality of life and recreational opportunities that attract new visitors, residents, businesses, and investment. Our national monuments are a vital piece of our public lands system, providing important habitat for America’s wildlife, and enabling Americans connect with our history, hunt and fish with our friends, camp and hike with our families, and enjoy the character and natural beauty of our country. Many of the targeted monuments are places of special importance to the hunting and fishing community. Upper Missouri River Breaks National Monument is home to world class elk and mule deer hunting, while Rio Grande del Norte National Monument is the place to go in New Mexico for world class trout fishing, and big horn and elk hunting. Grand Canyon-Parashant National Monument in Arizona is known for mule deer, turkey, and pronghorn hunting. The designation of Katahdin Woods and Waters specifically set aside acreage for hunting usage, while creating access on land that had been off-limits to the public for years. These monuments help drive commerce for family-owned outdoor businesses. For example, the Taos Fly Shop, offers guided fishing trips on the Rio Grande River, which cuts through Rio Grande del Norte National Monument. In the off-season, guides at the shop gather firewood and hunt on the monument to supplement their food stores. The monument is also a source of piñion nuts and local herbs, which are used in a wide variety of traditional New Mexican cuisines. Rio Grande del Norte National Monument provides physical and cultural sustenance to the adjacent community of Taos, as well as a backyard economic driver. Eliminating or shrinking monument protections for these lands and waters is a major threat to fish, wildlife, and local outdoor industry businesses all over the country. A recent survey of Montana voters by MSCR LLC, released by NWF state-affiliate Montana Wildlife Federation, found strong support for protecting the Upper Missouri River Breaks National Monument and clear opposition to any attempts to reduce its size or change its management. Respondents stated that private property, grazing, and energy development have not been negatively impacted, and expressed pride in the monument protecting cultural resources, wildlife and world-class hunting. And this pride and support is not limited to those who live in the West. In fact, polling clearly indicates that monuments matter to Americans across the board, regardless of location or political affiliation. An April 2017 poll, conducted in West Virginia by the firm Global Strategy Group, showed that 87% of respondents believe that national monument designations should be kept in place (almost 7 in 10 strongly believe). More importantly, West Virginians overwhelmingly recognize access to public lands – including national monuments around the country – and hunting, fishing, and recreation provided by monuments as an important part of their quality of life. This monument review hits close to home, as several other National Wildlife Federation state-affiliate organizations either led or were active participants in the designation processes for the targeted monuments in their states. New Mexico Wildlife Federation represents over 80,000 sportsmen and women across the state, who played a critical role in supporting the designation of Rio Grande del Norte over the two-decade-long process. Staff and members from New Mexico Wildlife Federation were key members of the Coalition to Protect Rio Grande del Norte, which also consisted of sporting groups such as Trout Unlimited, Southwest Consolidated Sportsmen, Backcountry Hunters and Anglers, and the Theodore Roosevelt Conservation Partnership. In the case of Katahdin Woods and Waters National Monument, NWF-affiliate Natural Resources Council of Maine was involved in hundreds of presentations, meetings, debates, hearings, listening sessions, and one-on-one conversations with residents of the Katahdin region, interest groups, and local, state, and federal elected officials about the proposed designation. Montana Wildlife Federation devoted a large amount of staff time and performed extensive outreach work as part of the multi-year public process behind the designation of Upper Missouri River Breaks. Conservation Council for Hawaii worked extensively to help achieve the 2016 expansion of Papahānaumokuākea Marine National Monument and UNESCO World Heritage Site. Papahānaumokuākea is now the largest ecologically protected area on the planet, and contains the planet’s largest seabird gathering site, with more than 14 million birds from 22 species visiting annually. Downsizing or eliminating any of the 27 targeted monuments would be a rejection of the many years of collaboration behind the designations, and a bitter betrayal of the trust that Americans around the country placed in these public processes and their government to establish these protections in perpetuity. In conclusion, Conservation Northwest opposes the intent of Executive Order 13792 to eliminate or downsize the existing designated national monuments that the American public owns and overwhelmingly supports. We embrace the underlying vision of President Roosevelt that is “the great central task of leaving this land even a better land for our descendants than it is for us.” The Antiquities Act and America’s national monuments are a shining example of this vision, and they should not be undercut or diminished through this executive-directed process.